You must be a member of the Lugano Ascona - Locarno Activities Group to attend this activity. Would you like to join this group? Ed eccoci finalmente alla prima Climate Beer di quest'anno! Veniteci a trovare per parlare con noi di attualità e dei progetti in corso. Durante la serata saranno presenti due delle delegate svizzere che hanno avuto modo di partecipare alla COP24 in Polonia lo scorso Dicembre. Vieni a trovarci e a chiacchierare con noi sorseggiando qualcosa! La stessa sera l'evento è anche nel gruppo Ascona-Locarno: "Soul Yard". Se si passa direttamente dall'uno all'altro, è possibile visitare entrambi gli eventi. And here we are, finally, at this year's first Climate Beer! Come and visit us to talk to us about current events and projects in progress. 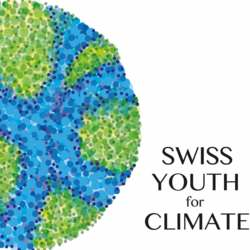 During the evening there will be two of the Swiss delegates who had the opportunity to attend the COP24 in Poland last December. Come and visit us and chat with us sipping something! At the same evening, there is also the event: "Soul Yard" in the same Internations goup Ascona - Locarno. If you go directly from one to the other, it is possible to attend both events.